We’re thrilled to be launching a new series of posts on our website sharing recipes from our kitchen. 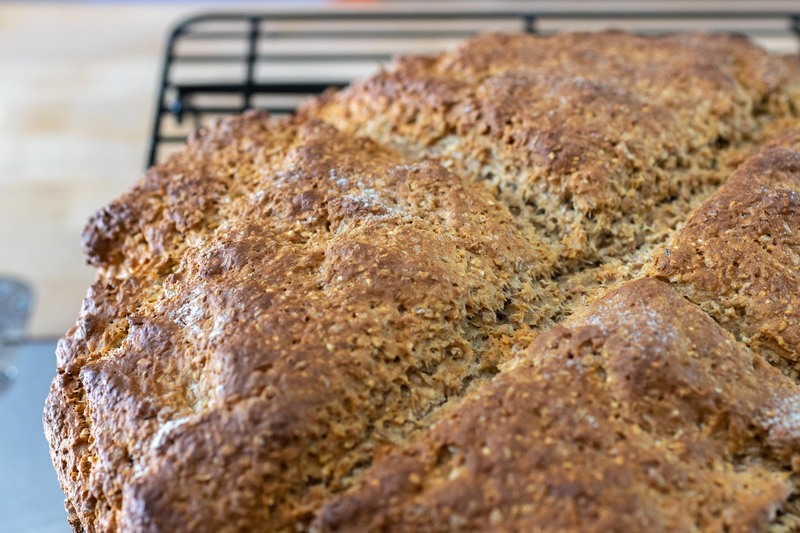 We couldn’t think of a better one to start with than the traditional Irish Brown Soda Bread. 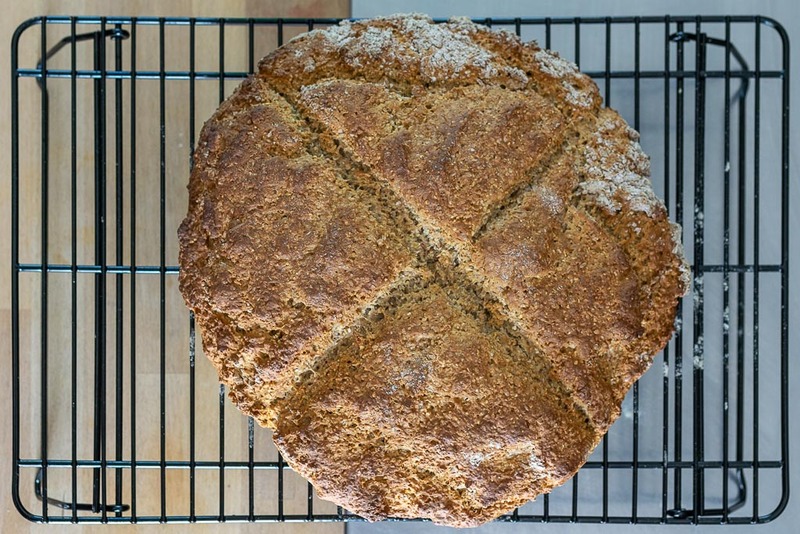 Brown bread is one of those recipes that can vary from home to home. 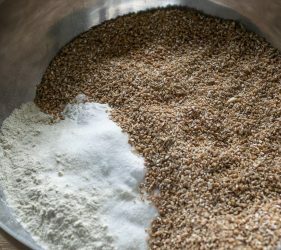 Everyone adds their own special touch whether they might bake it in a tin or on a stone, add seeds for extra bite or buttermilk for added depth. Cutting this bread requires a steady hand and some strength. The crust is thick and hard and the internal texture is quite delicate. Cut them too thick and you’ll be accused of making “doorsteps” as Rosie’s family likes to say. 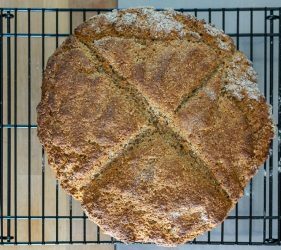 Brown bread is such a hearty, versatile and satisfying staple in Ireland. It’s fantastic in the morning with a healthy spread of butter and strawberry jam along with a hot cup of tea or with some fresh avocado and a couple of fried eggs. At lunchtime, it’s perfect for dipping in a bowl of seasonal vegetable soup or as an accompaniment to a salad with some sharp cheddar cheese and tomato relish. Basically, if you have a loaf of this bread around you’re never far from a satisfying meal or snack. It’s a real hit with our students during the summer art program and with our residency artists year round. 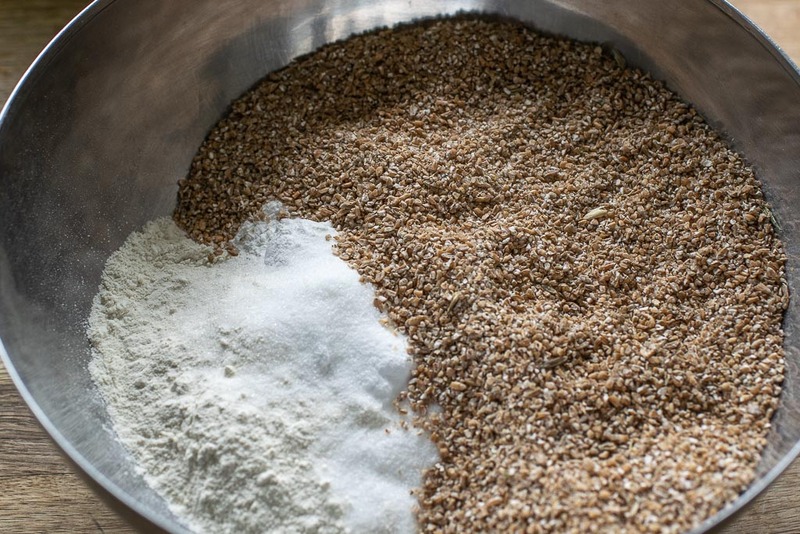 Just about any coarsely ground wholemeal flour will work well but it can be hard to find this outside or Ireland. It’s never a bad idea to bring a bag home with you but if you’re not planning a return anytime soon, you may want to seek out an Irish speciality shop. We’ve recently switched to Dunany Flour for their Extra Course Wholemeal and it has made an incredible difference. 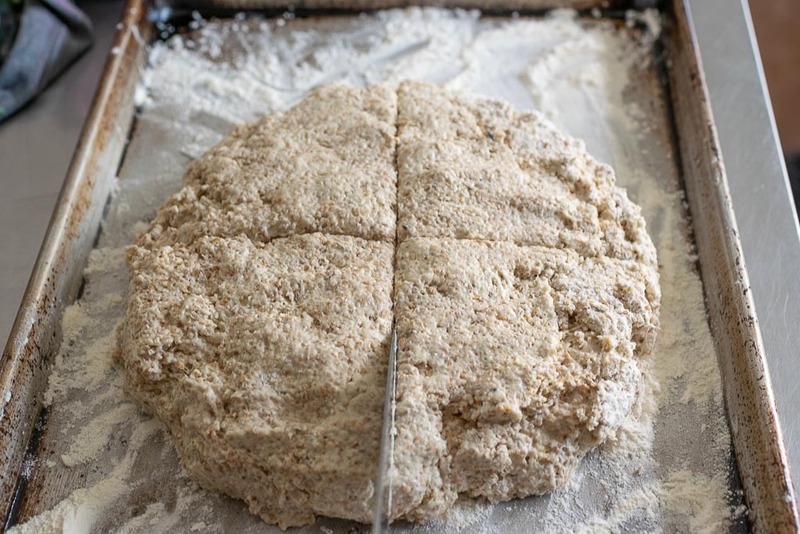 The exceptionally course grind yields such a satisfying bite and the flour itself has a sweet and nutty flavour. 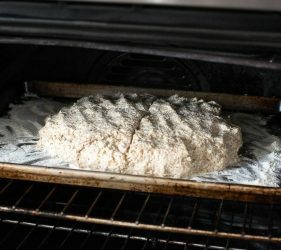 Preheat your oven to 200 C fan oven. Mix all of the above dry ingredients. 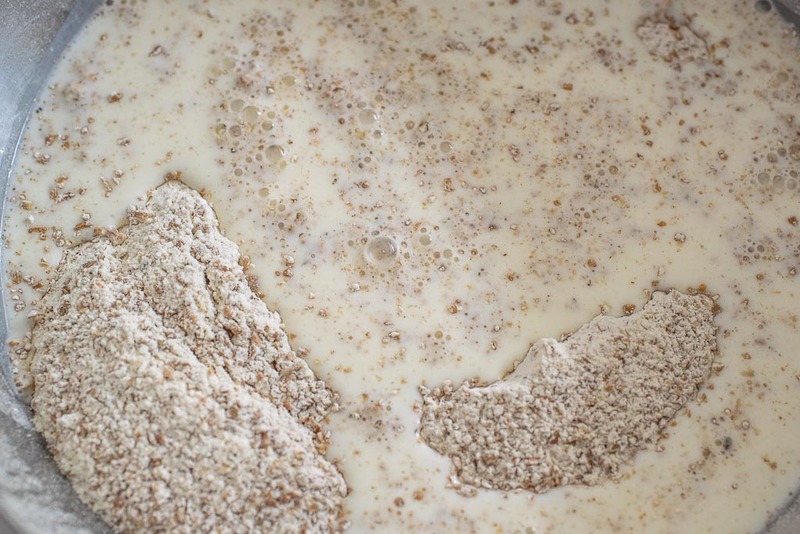 Make a well in the centre and add the milk or buttermilk. Gently stir until just combined. 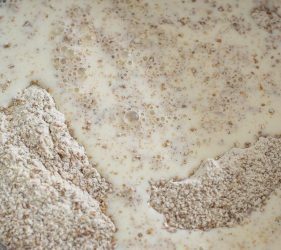 Be careful not to over handle or over mix it, as this will make it dense, just mix it until everything is combined. 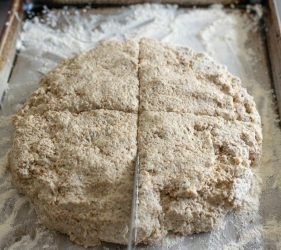 Shape the dough into a round about 4 inches tall. Place on a very well floured baking sheet. Cut an “x” across the surface from side to side. 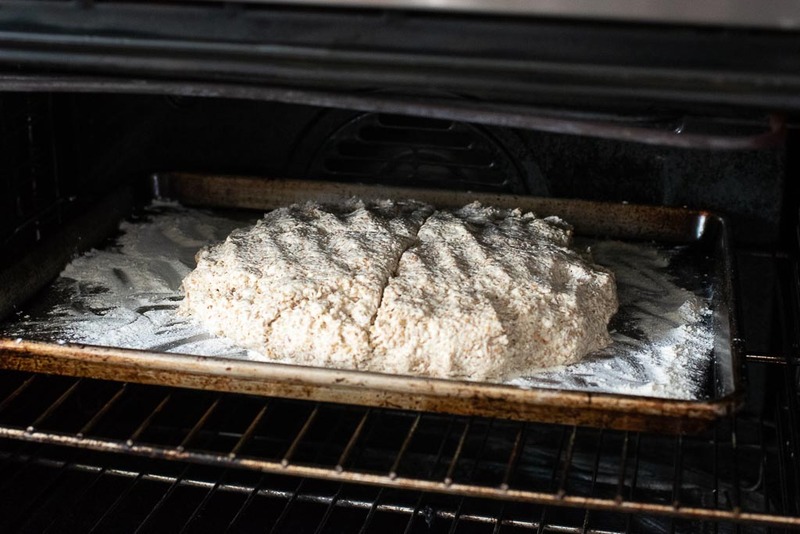 Bake in a preheated oven at 200C for 10-15 mins, then turn down oven to 180C for 35-45 mins until it sounds hollow when tapped on the bottom. Leave the bread to cool on wire rack before cutting. The “x” can be used as a guide to make 4 quarters.